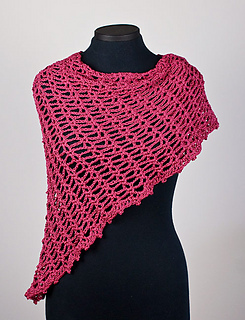 This pattern is available from planetjune.com for $5.50. 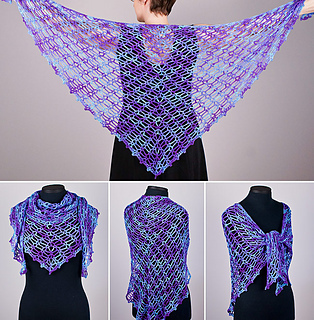 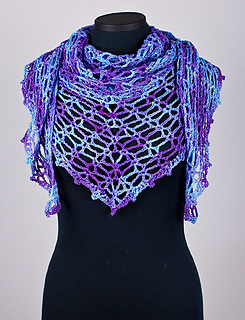 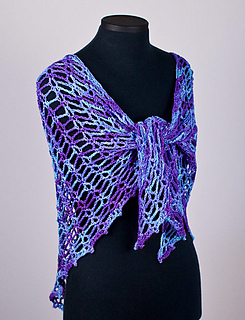 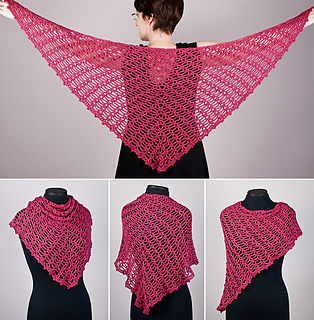 Sweetheart Lace Shawl is an original PlanetJune Accessories crochet pattern by June Gilbank. 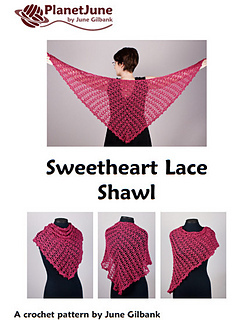 Sweetheart Lace Shawl is a triangular shawl with an elegant curve along the top edge so it hugs your neck and won’t fall off your shoulders. 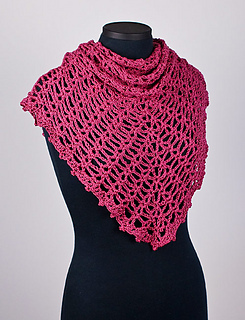 Using only basic stitches, the lace grows from the centre top so you can keep crocheting until the shawl is the size you want, then add the picot border as the finishing touch. 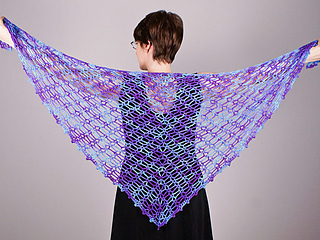 My lace patterns are designed to be worked with normal-sized hooks into the spaces between stitches, which means that there’s no hunting for those tiny fine loops to work into, and they are a pleasure to work. 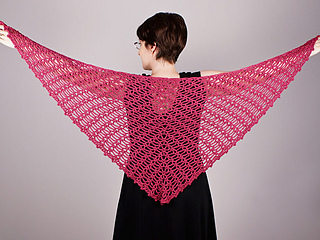 Size: The size of the shawl is totally up to you - just keep crocheting until it’s the size you wish! 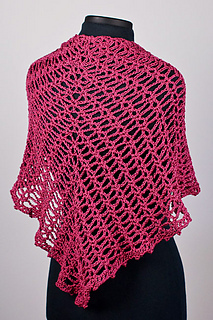 Please bear in mind that crocheted lace stretches when blocked, so it will grow when you block it. 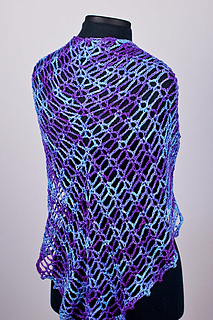 Details: The pattern includes full stitch diagrams as well as clear written instructions.